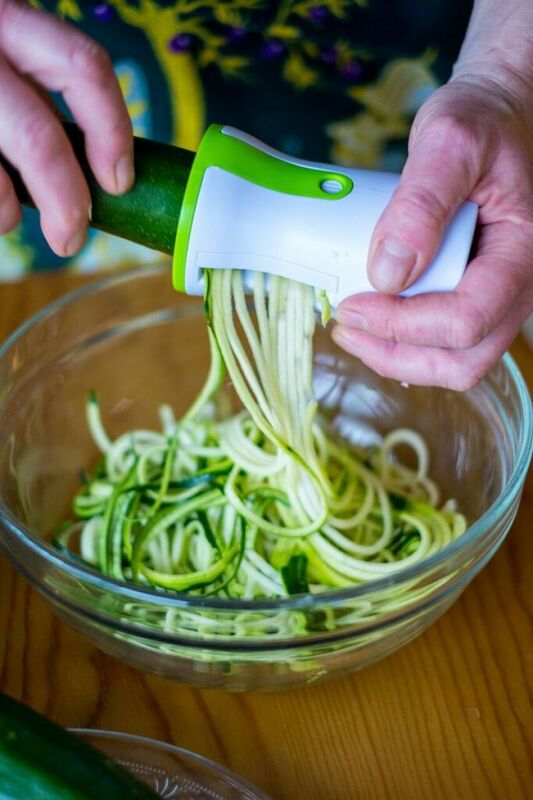 A spiralizer is an inexpensive gadget and good gift for someone who enjoys cooking. Essentially it turns fresh veg into noodles, and gives you lots of opportunities for introducing more vegetables into your diet. There are lots of spiralizers on the market, hand powered or electric, but the option we used was very like a model on offer for under £6 from lightinthebox. 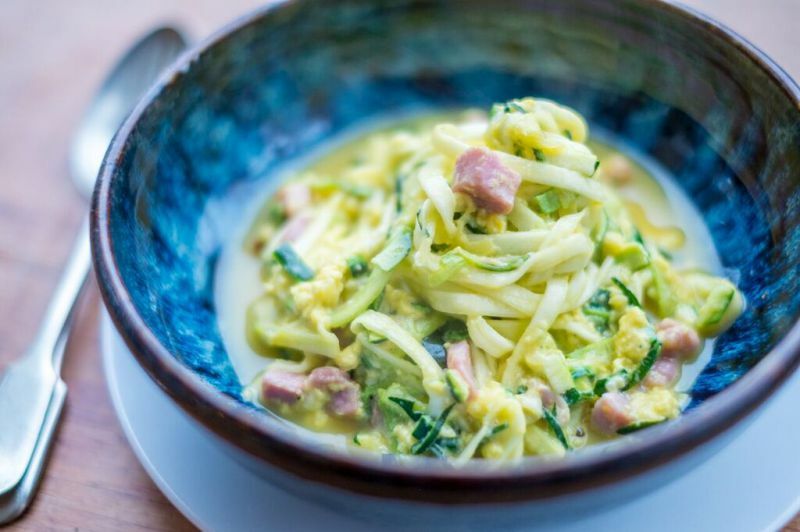 This recipe is a twist on the pasta carbonara favourite and gives you a very good portion or two of your 5 a day! First of all, make ready the courgette. Spiralise on the thickest setting to make lovely long noodles. Set aside until needed. 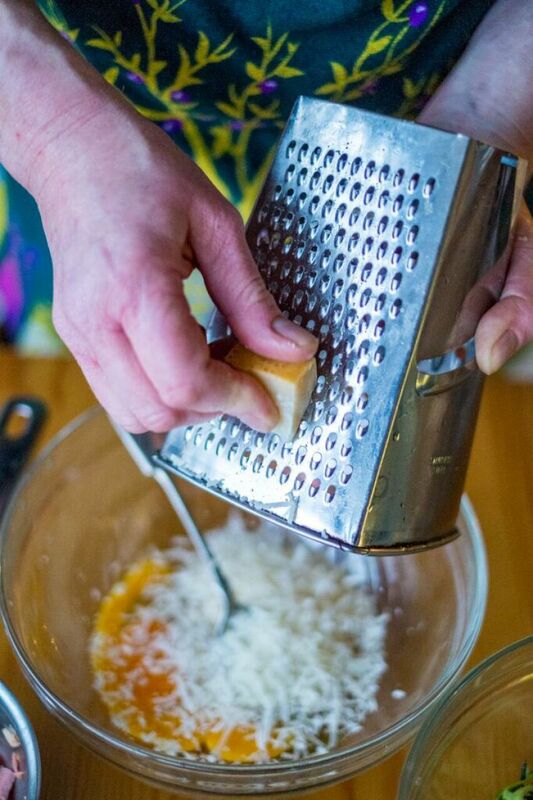 Whisk the eggs along with a generous grinding of black pepper then stir in the Parmesan. Warm a deep frying pan with a couple of sprays of oil. 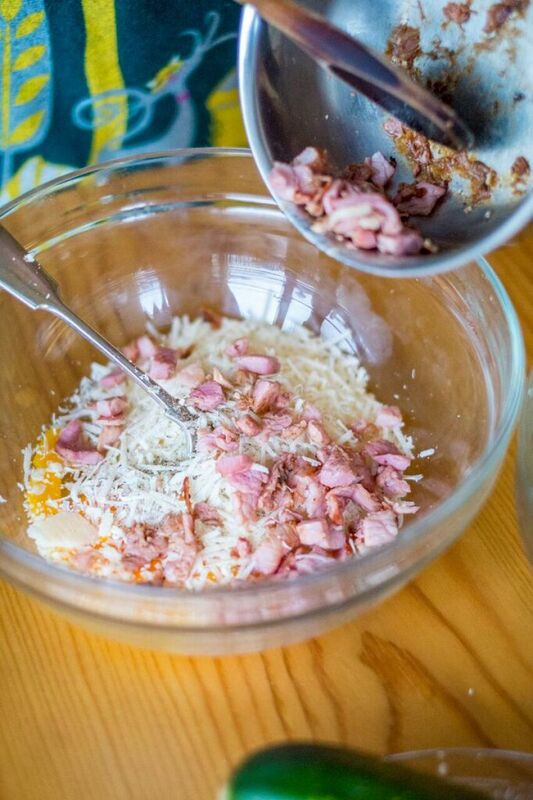 Add the bacon and cook for 3-4 minutes. 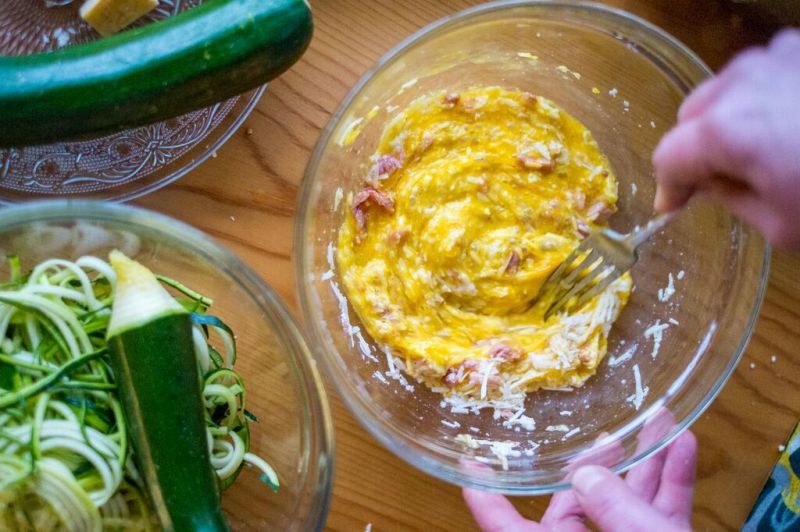 Add the courgette to the pan with the bacon and stir fry for a minute before pouring in the egg mix. 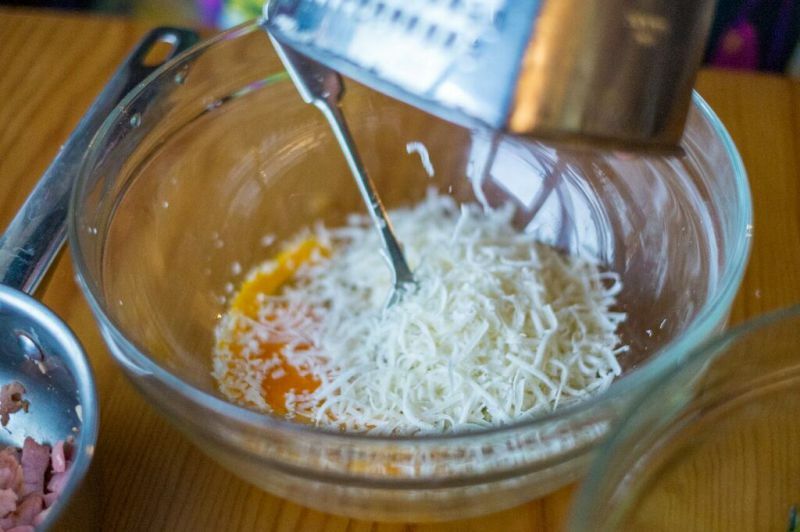 Turn gently until all of the noodles are coated and then warm through until the egg starts to set.